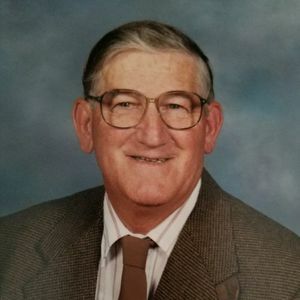 Thompson, Norman E. 86 – of Swainton, NJ passed away February 6, 2019. He was born in Merchantville, NJ to the late Harry and Edith Thompson and lived in Audubon, NJ until retiring to Cape May County. He served in the US Navy during the Korean War and later worked for Amspec Chemical (formerly Harshaw Chemical) in Gloucester City, NJ. Norman is a lifetime member of the American Legion Post 198 and Kiwanis, and also a member of the First United Methodist Church in Cape May Court House. He was a kind and giving man who gave to many organizations and charities to help others. Norman enjoyed the outdoors - being by the water, swimming, fishing, boating and the beach. His other loves included hunting, gardening, his dogs, playing the piano, reading but most of all his family and grandchildren. Norman is survived by his wife of 42 years, Betty; daughters Karen Montalvo and Darlene Downing (Sal Stellato); grandchildren: Heather, Andrea, and Ashley; and 7 great grandchildren. He is predeceased by a brother Joseph, sister Ruth, and granddaughters Melissa and Stephanie. Funeral services will be Thursday, February 14, 2019 at Radzieta Funeral Home, 9 Hand Avenue, Cape May Court House, NJ 08210. Viewing will be from 11:00 a.m. to 12:00 noon. Service will begin at 12:00 noon. Interment will be at Greenwood Memorial Park in Millville, NJ.